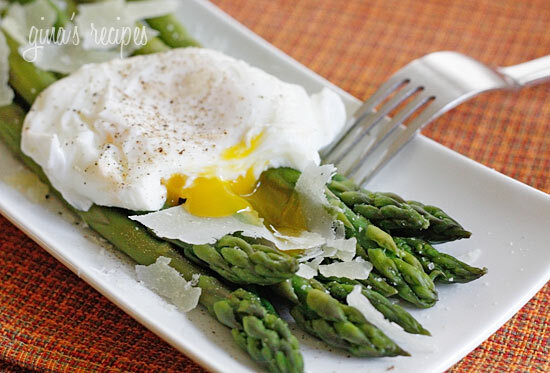 Poached eggs, asparagus, kosher salt, fresh pepper and shaved Pecorino Romano. 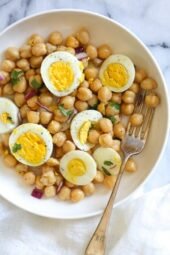 This simple egg dish is delicious for breakfast, lunch or brunch. You can serve this with whole grain toast on the side. 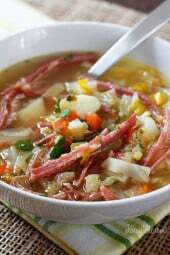 , but you can easily make them without as I did here following these simple steps. My mantra is cooking doesn’t have to be complicated, if you use quality ingredients, you will achieve great results. I prefer to cook with whatever fresh vegetables are in season and I keep my kitchen stocked with good olive oils, cheeses and spices. Steam asparagus until tender-crisp, then run under cool water for a few seconds to stop the cooking. Drain and divide asparagus between four plates. or following these steps for poaching eggs without one. 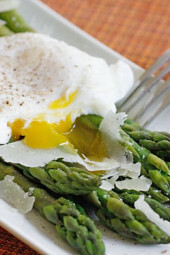 Remove with a slotted spoon and place each egg on top of each plate of asparagus. Top with freshly grated salt, pepper and Parmigiano Reggiano. Enjoy!! Ijust poached my first egg EVER!!!! I had asparagus, eggs and grated parmesan….so I went for it. So good!!! I had a side serving of hashbrowns that I browned in olive oil for my daily serving of 'good oil'. I love your site!!! I tell all my WW friends and anybody else looking to eat healthy. Your photos are fabulous too!!!! Thanks Gina! Poached egg is great on top of veggies! Wendy, glad you stumbled onto my site! Having recently stumbled upon this amazing blog (thank you Gina!! ), I prepared this for breakfast this morning. Recipe was easy to modify for one. Only had grated parm in the fridge, so that is what I used. Added one slice of whole wheat toast and a few strawberries. Visually appealing, but tasted even better. LOVE eggs, and a hearty breakfast is a major splurge for me. This will be a life saver!! This reminds me of my favourite lunch … leftover veggies lightly sautee'd with an egg poached on top. Hey Gina! It was so nice meeting you this weekend 🙂 I'm glad I found your blog too – I'm excited to start reading! I hope you had a safe flight home. for easy, cheap, and fast Thanksgiving recipes. Love it! This is also great over some whole wheat pasta, the yolk serves as a bit of sauce. Every Saturday we go to a local restaurant where I have poached eggs and an English Muffin (dark & dry) with mixed fruit jelly. I look forward to this every week. Good hot coffee, eggs done just right, friendly waitresses. and just six points. Is it Saturday yet? Gosh! I thought I could never enjoy both asparagus and egg at the same time! This is an Italian staple! 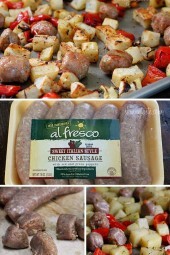 I have been making this for years and its so yummy and easy! Nice Job!!! I would have never thought of this combination but it looks yummy! I love poached eggs too, and this is my kind of breakfast! Kayln- South Beach friendly too! Gina, I am drooling here! I can't find asparagus for a good price anywhere, but I will save this recipe for the spring time! I'll remember this for next year, when asparagus is in season again. I love poached eggs on anything. I agree, simple & fresh always is best. This is so visually appealing Gina. I've seen this recipe before and keep meaning to try it! Soo yummy and healthy! I love your mantra and couldn't agree w you more! Your pic is so beautiful. I hated eggs for some reason until just a few years ago. Now the only way I like my eggs are poached! Weird now that I think about it…. i just discovered the wonder of a poached egg. I enjoyed my poached eggs on top of a bed of hashbrowned potatoes. kind of magnificent!